Updated Friday April 27, 2018 by Franklin Little League. If a batter is in batting when the 1 hour, 45 min time limit expires – they are allowed, to finish their time at bat. The results of that player’s time at bat will count if it ends the teams 3 outs, or scores the winning run. If the team at bat does not complete 3 outs before the 1 hour, 45 min time limit expires- the score will revert back to the last complete inning. 2. 2018 - FLL team against FLL team Time Limit Rules: Games last 6 innings or 2 hours, whichever comes first. A new inning shall not begin after 1 hour and 45 minutes of game time has expired. A new inning begins as soon as the last out is recorded. When no other games follow on the field of play, and a new inning began at or before 1hr 45minutes, that inning is to be completed. If a game is played on that same field after the game, the game will hard stop mid-inning when the 2-hour time limit is reached, and then the score will revert back to the last full inning completed. 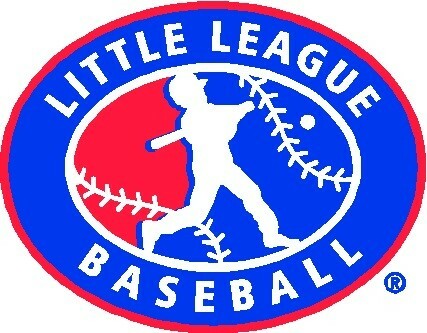 “Complete” and “Incomplete” games are as defined by the Little League Rules.---No run rule for FLL against FLL games. 3. District 6 has implemented a continuous batting order for all games. Any player arriving late (after managers have exchanged line-up cards) can be added to the roster but must be added to the bottom of the batting order to avoid game delays. 1. Teams should really only count on using the infield for pre-game warm-ups before the first game of each day. 2. 5:00pm - All managers should have their players arrive ½ hr before the start of the games. 3. 5:00pm-5:30pm – Foul Line - Warm-ups should happen with the teams. Outfields will continue to be used by both teams until game time. 4. 5:00pm-5:15pm - Visitors can use the infield –Teams should be respectful of the lines during this time, and should be reminded of “superstition” if necessary. 5. 5:15pm-5:30pm – Home team can use the infield since they can then keep their gloves with them and catcher will keep his gear on/pitcher can warm-up so they are ready at the start of the game. “Home Starting Pitcher” warm-ups should happen before 5:30pm with the first pitch of the game as close to 5:30pm as possible. Let’s get in as many innings as possible. 5. All players are to play defensively in the field, for a minimum of (6) defensive outs, during each game. 6. Managers have agreed this year to score each game using the “Game Changer” App and are to share the game results and pitch counts with the Majors Divisional VP and the other FLL team managers. This is intended to track pitch counts so that rest rules are followed. 7. Regulation VI (c) League Age 11 &12 year old pitchers can pitch 85 pitches per day. If a pitcher throws 41 or more pitches they cannot play the position of catcher for the remainder of the day. 9. All managers are to have their players “tuck in” their jerseys when on the field during games and no player shall be on the field without their team jersey “tucked-in” and the team’s baseball cap on their head, when playing the field. 10. All players should wear “cups” for all games but no player shall play the catcher position without “cup” protection. 11. Batting helmets in Majors need to have an approved NOCSAE label. 12. At the end of the game, the “home team” manager shall confirm with the “visiting team” manager and agree to the final score of the game. Within 4 hours of the end of the game the “home team” manager shall input the score into the league administration system, “Sports Illustrated Play." 14. If you are the last game of the evening, kindly re-tarp the field with the tarp and stakes provided in the dugouts. a) Before the season begins Managers are expected to have at least two practices per week. b) Once the season begins, it is expected that teams will practice at least once a week outside of games for a Sunday thru Saturday calendar week. Managers should avoid Sunday morning practices. Any time after 1pm on a Sunday should be fine. c) Managers are ultimately responsible for their coaches, players and parent’s actions during games. It is strongly encouraged to have a team meeting, with the parents present, to review team rules and polices regarding practices and games. Any manager that has a dispute with another manager, coach or parent that cannot be resolved after a game or practice, with 24 hours of cool down, should bring the issue to the attention of the Majors VP. The Majors VP will work with the president and the board to resolve the issue. d) Only Managers may approach the umpire and only if it is necessary. NO party is allowed to argue or ridicule the umpire for ANY reason. e) Managers are responsible for opening day / picture day attendance. f) Managers are expected to become familiar with and follow the field and facility use instructions document.